They may come with tools to help merchants design their web site or online catalog. They can include payment gateway services to allow merchants to securely process customer payments. Many help with calculating shipping costs. Some support cross selling, or offering customers other items they may be interested in. Many shopping carts even help with managing online stores, such as by tracking inventory or offering fraud protection features. Shopping cart software may be commercially available or open source. Commercial software is developed and marketed by a company or corporation. This type of shopping cart software requires you to pay for the software, but it probably will have better technical support and may offer more features. Open source software is primarily developed and maintained by a community of users, and is generally free, though customer support may only exist in the form of forums where other users answer questions and troubleshoot problems. Another aspect of online shopping carts to consider is whether they are locally or remotely hosted. Locally hosted online shopping carts are programs you buy or download and run on your own computer or server. A remotely hosted shopping cart is one that you pay a fee to have someone else run and maintain. If you opt for an online shopping cart that is locally hosted, you have more initial costs and more maintenance, but more control over your shopping cart and lower or no monthly fees. If you pay a monthly fee for shopping cart services that are remotely hosted, you may have less maintenance to worry about and it doesn’t take up space on your server, but you also have less control over your online shopping cart. What do you need from your online shopping cart? If you already have a store built and a payment gateway set up, you may only need a simple shopping cart that helps customers get to the checkout process, while if you’re starting from scratch you may be more interested in online shopping cart software that is part of a complete eCommerce package. There are many other questions to help you consider your needs. What shipping options will you offer? What kinds of payments do you want to accept? Do you need a package that will help you set up your web site and get a merchant account and payment gateway? How easy is it to use? An online shopping cart should be very easy for a customer to use. It should take them through the checkout process without any bumps or confusion that might discourage them from completing their purchase. It should also be easy for you to use, and there should be customer support that is available and helpful. What does it cost? You may be able to get your shopping cart software for free, depending on your needs. If, however, your online shopping cart includes a payment gateway process, there will be fees involved in processing online payments, and it’s important to pay attention to those fees as well. Is it compatible with the rest of your web site? 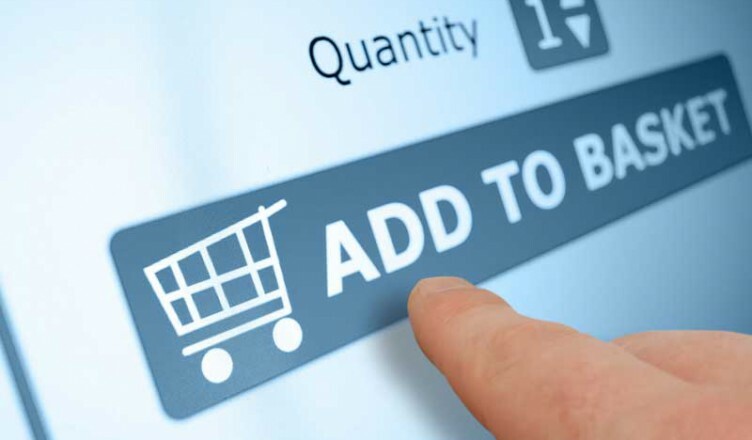 You should check to be sure your online shopping cart is compatible with other features of your online store, including your merchant account and web host and, if they are not part of your shopping cart software, with your online catalog, inventory tracking system, and payment gateway. Is it scalable? Scalability refers to a software program’s ability to grow and change with your business. Does the online shopping cart software include not only the features you need now, but also those you anticipate needing in another year or two if your business is successful? On the other hand, don’t pay a lot more for features that you will realistically never use.